Rodriguez said her son's life had been a challenge from the start. She divorced Hawkins' father when the boy was 3-years-old, she said, and by 5 he was taking prescription Ritalin and Zoloft. She said she watched, feeling helpless the way a parent can, as raw anger took root inside her son. Wow...no kidding. "Raw anger." Wonder if that had anything to do with a young boy's family being torn apart when he was only a toddler, than pumped him full of psychotropic meds by the time he was in kindergarten to put him in a chemical straight jacket for having fits because his father was ripped out of his life through no fault of his own?! Isn't it just wonderful that we have a system that encourages no-fault divorce...preaches that father's are not necessary...that single mothers are more than capable...that young FIVE YEAR OLD BOYS NEED TO BE MEDICATED FOR BEHAVIOR PROBLEMS!!! What the hell happened to common sense? What kind of "Doctor" looked at a young, hurting five year old boy, miserable because his family was torn apart by divorce...and conclude that he needs drugs to alter his body chemistry? Given the circumstances, it's COMPLETELY NATURAL for a young boy to be angry and hurt!! The feminists who have declared war on masculinity and males...the feminists who have pushed for divorce as the solution to "free women," these are the folks that are indirectly responsible in creating the "monsters" who grow up without the structure and discipline of a two parent family; of a father to control, discipline and define adolescent male aggression. This is how we get these sociopaths that think nothing of killing innocent bystanders in our malls, churches and schools. UPDATE - After reading the list over again, I just noticed Number 22, Bill Clinton. Yes, the guy was from a Single Mother Household...but no matter what your politics (and I'm as anti-Democrat as you can get), I don't think the guy should be on the same list as mass murderers like Charles Manson. But that's just my opinion...I'm sure there are those that would disagree and point out that he does deserve such a distinction. Afterall...god forbid should Hillary win the next election, we may end up looking back at the first Clinton years with nostalgia of better days gone by. She did the best she could...For a single mom...Maybe keeping dad around wasn't such a bad idea? Any decent father would have slapped his wife upside the head and called her a moron for putting a 5 year old child on Ritalin and Zoloft. 5 Year old boys need dads, sports, and outdoor activities, not drugs. These idiot women, with there half baked ideals, look at the fantastic results! This is the future, serial killers and prison inmates. Its not fair, without fathers kids turn out fucked up. Moms can't hack it by themselves, duh! Any decent father would have slapped his wife upside the head and called her a moron for putting a 5 year old child on Ritalin and Zoloft. Hah. My Mother put my younger brother on Ritalin when he was 6 or so because he was "hyper-active." After one month of my brother acting like a zombie, my Father took the bottle of pills, flushed 'em down the toilet and COMMANDED my mother not to take him back to the Doctor that prescribed them. Now my Mom has always been a headstrong women that basically wears the pants in the family...but when my Dad put his foot down emphatically, he had his way and got my brother off of the mindfuck pharmaceutical garbage they corrupt our children's minds with for their own profit. Its really sad that our society has sold its soul to feminism so much that everyone except women are grist for the mill. Look for feminists to point to this young boy and say "Males are evil." Who knew that creating monsters out of innocent children was so profitable? It is a mass collection of Homicides and suicides dating back 20 years that were connected Prozac nad other Anti-depressants. Each of these cases made national headlines. I couldn't believe it when I read it. What is going on here is a SCANDAL. As CRAZY as Tom Cruise is, I think he is RIGHT in regards to the psychiatry industry. Women who put their sons on Ritalin, Prozac, or any other substance need to charged with CHILD ABUSE. the simple fact that they put their sons on Ritalin for being too "hyper" is PROOF that they do not know how to raise their sons and that EVERY boy needs a FATHER in his life. A woman putting her son on Ritalin is a PERFECT reason why Fathers should have custody of their chldren. When a woman does this she is in effect ADMITTING that she doesn't know how to properly raise her child. My generation were put in rugby teams and we beat the crap out of each other on the field (under proper male supervision of course). I don't remember hyper-activity being a problem - all the angst and energy was run out of us. Also taught us not to carry a grudge, as an opposite might be a team-mate a week later. Even then, fathers were all for it, mothers hated it. I remember it as the most fun I ever had. The most alarming part is the she, any millions like her, are clueless as to how this could happen given his upbringing. The real mystery is why it doesn't always happen given this type of upbringing. First ask the question; Did the mother drink any alcohol when she was pregnant. Check on the mall shooter. She was binge drinking when she was pregnant with him. He was a fetal alcohol brain damaged child. He fits the profile with his behaviors and with the reported fact of his mother bingeing. As for the other kids on Ritalin, first take the brain damage possibility off the table by asking if the mother drank any and make sure you define it as any alcohol during the pregnancy. Alcohol is a powerful teratogen that damages fetal brain cells and the resulting brain damage exhibits itself in ADHD and many other behaviors. Wow, you really need to educate yourself about this case. The boy was raised primarily by his father and a ward of the state for his teenage years. His mother is disturbed clearly indicated by her statement that HER pain was greater than the victims families. It is an egotistical comment that says so much about her. He stole the assault rifle from his mother's house. Who keeps a weapon designed for mass killing in a house that a disturbed teen has access to. There is plenty of blame to go around here but get your facts straight before making assumptions. 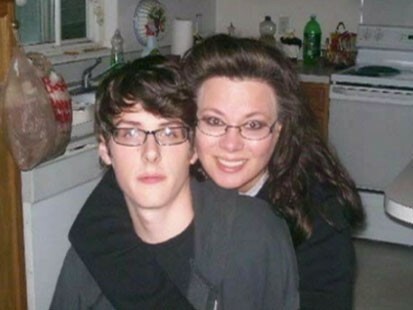 She was not a single mother and did not in fact raise him. She wanted a free trip to NY to be on TV and get attention. Wanted to comment on Ritalin. In 1973 my son was 8 years old. His female teacher told me that he was hyperactive and that he needed to be seen by a psychiatrist and given a prescription for Ritalin. He saw a psychiatrist and was prescribed Ritalin. There was one month of school left before Summer vacation. The Ritalin did calm him down, but it seemed to me that the life went out of his eyes. Also, I never had behavior problems with him that I would consider abnormal for a boy his age. I grew up with two younger brothers so maybe I had a good idea of what boys were about. I stopped the Ritalin when school ended that year and never gave it to him again. His female teachers in grade school would complain sometimes. But the male teachers never mentioned it and if I asked about any hyperactivity, they said sometimes, but they considered it and his normal for a boy.